To say I feel overwhelmed right now would definitely be accurate. So when I was offered the opportunity to breathe new life into my homeschool through Homeschool Rescue from Only Passionate Curiosity I was definitely excited to see what it was all about! Am I doing enough? Is the plan I have in place working for us? Or sometimes I feel like we’re doing TOO much! Could this six week online course be the answer I’m looking for? I was eager to find out! The Homeschool Rescue Course is accessed online and is designed to address the multiple concerns we have as homeschoolers. It recognizes that sometimes we just need to hit the reset button, and that is exactly what it does. It offers the opportunity to take a real look at your homeschool from where you’ve been to where you need to go. Bonus planners for moms and students. When I was trying to grasp the idea of the Homeschool Rescue program I had to laugh when Heather said she had been a “hot mess mom.” I think that’s the best way I can describe myself right now. My world got shaken up, and I’m trying to balance homeschooling, working, blogging, housework, volunteer works, activities, etc. as a single mom with three children with special needs. I know it’s possible to find balance in the midst of the chaos but I would analyze and reflect and still feel like I’ve gotten nowhere. Homeschool Rescue has been exactly what I’ve needed! Homeschool Rescue is broken down in an easy to follow 60 Day Plan, which has grown since the start of our review. There is a calendar to break the course day into daily and weekend tasks. Initially we started with a 6 week plan, which I promptly printed out and hung on my wall. In the midst of chaos I surely appreciated having a calendar with check boxes to keep me on task! There are 5 total modules, and it breaks up the modules into smaller daily tasks. I think something I appreciate most is she understands we don’t need something else taking up our precious time. The tasks are broken down into something manageable even on the busy days. When individual lessons are selected within the module it will not only show the video for that lesson but also has the downloads and resources right there as well. My biggest concern was that there would be a place for the videos and a different place for the downloads and resources, so I was pleasantly surprised to see it’s all in one place. In fact, I find the navigation of the program to be so easy! The Modules and Lessons in Homeschool Rescue really cover such a broad range of topics that homeschoolers face including managing the home. I really feel like Homeschool Rescue wasn’t definitely just for me but for the kids as well. It wasn’t just my watching videos, taking notes, and making a plan. It really gets the kids involved as well from discovering their learning style to asking them questions about their lives and thoughts on homeschooling. I really don’t think there is anything I’ve experienced or areas I hope to improve in that weren’t covered in Homeschool Rescue. I think the only thing that wasn’t fitting for my household were tasks that involve a spouse since I’m a single mom. It doesn’t bother me because I understand this is not typical, but I do think I’d prefer if it just said “your family” rather than “your spouse and children.” Obviously a date night with my spouse would be irrelevant as well, but I actually love that it’s included because I think that’s so important for married couples. The very first task for Homeschool Rescue is joining the Facebook group. It’s recommended to introduce yourself to the group and plug in. It is really a great community! It was recommended to connect with another member with a similar situation to hold each other accountable. I admit I haven’t been a very good accountability partner, but I think it really is a great idea. Plus conversations aren’t limited to just Homeschool Rescue. 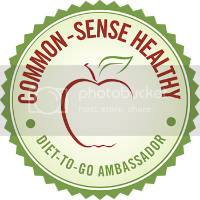 It’s a great place to connect with other homeschoolers. Really I could go on and on about all the great things I’ve learned through Homeschool Rescue. Not to mention the things I’m still looking forward to. Homeschool Rescue is an amazing resource even if you aren’t frazzled. I’ve learned more about my children, our homeschool, and myself. Although I’m still moving along the course, I have already felt a huge weight lifted. I’m feeling less overwhelmed and stressed. Instead of feeling like “wow, can I really keep doing this?” I feel like “I can totally do this.” From managing my homeschool to managing the home, it’s really been a huge blessing! 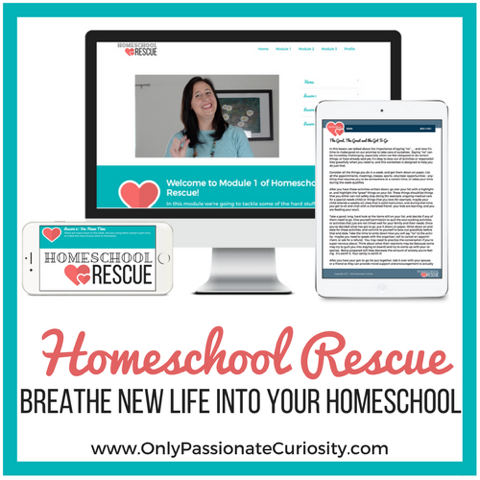 I would definitely recommend Homeschool Rescue for any homeschool family! Other members of the Homeschool Review Crew have been using Homeschool Rescue for their homeschool as well. See their Homeschool Rescue review by clicking on the banner below! Time management is also an issue for me. A great review. I think I must try it.